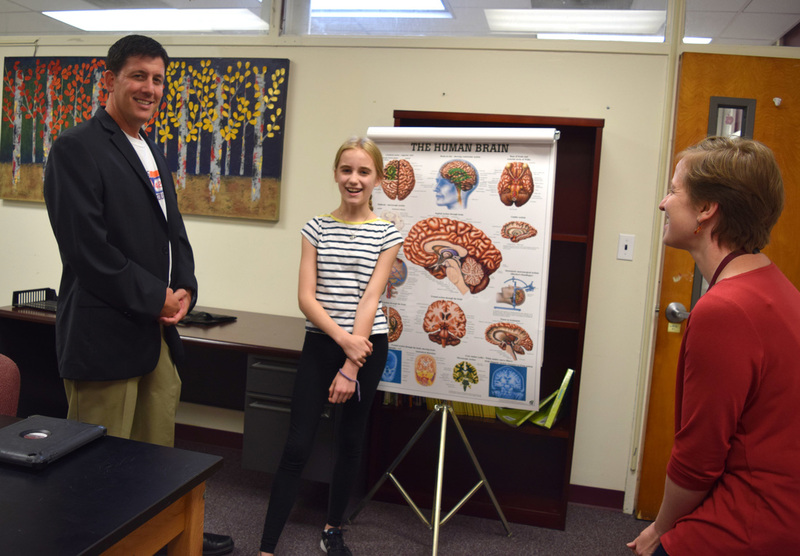 North Shore Schools, Glen Head, NY, November 4, 2016 - Congratulations go out to Kate Weseley-Jones, a North Shore Middle School student, who was awarded Semi-Finalist status in the Broadcom Masters Science Fair Competition, an honor bestowed on only 300 of the original 6,000 applicants. Kate has participated in several science fairs, pursuing a science research project (last year) where she studied how the manipulation of the axes on a graph might affect people’s perceptions of those graphs and potentially mislead them as they draw conclusions about those graphs. 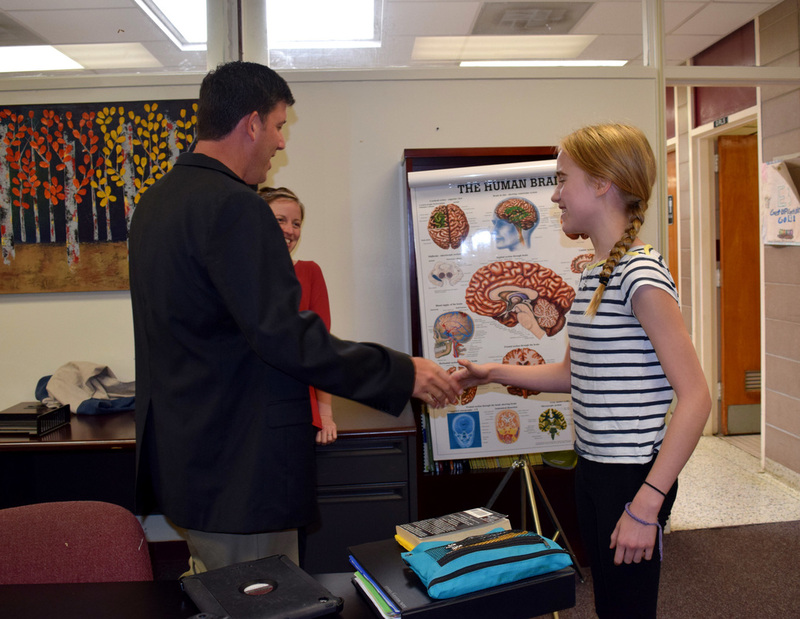 Photo Caption: North Shore Middle School student, Kate Weseley-Jones, was awarded Semi-Finalist status in the Broadcom Masters Science Fair Competition, an honor bestowed on only 300 of the original 6,000 applicants.